Want to go to the White House Egg Roll? Here is what you need to know! 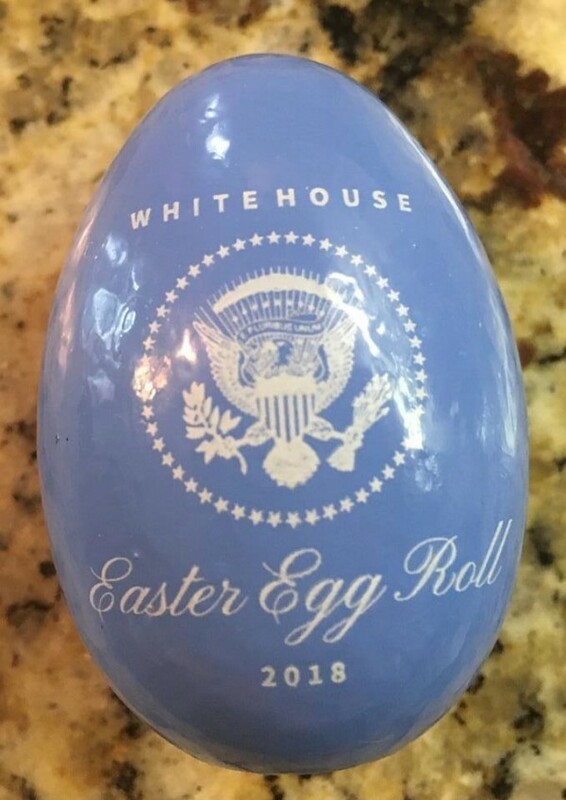 The White House Easter Egg roll is a long standing tradition which dates back to 1878 under the Administration of President Rutherford B. Hayes. The Easter Egg Roll is an annual event, and is held on the White House South Lawn each Easter Monday for children (age 13 and younger) and their parents. The Egg Roll is a race, where children push an egg through the grass with a long-handled spoon. The idea began and continued as a way for the public to see their president as accessible and inviting families to the lawn to play games and be entertained became a yearly tradition having only been cancelled due to heavy rain or war. Tickets to the event are FREE and the way families score the hottest ticket in D.C has changed over the years. In the beginning local school children in the area were given the tickets, then military families were included and most recently they held a ticket pick up day and 1 parent would stand in line for hours to pick up tickets for the family. A few years ago Recreation.gov began holding a lottery and this is currently the way tickets are distributed. This allows families from across America the chance to attend the event. The Recreation. gov website holds an annual lottery. This will open early February and is only open a couple of days so you have to mark your calendars and check back. There is no charge for entering the lottery. Only one application per household may be submitted. All other applications will be voided without notice. Ensure that your account contact information is correct and current. Your email address will be used for lottery and ticket communications. Once it closes you are no longer able to enter the lottery. This year winners were announced through email on March 2. They also send an email to the losers and that is the one I got! We did not get tickets through the lottery and according to their website over half a million people enter for tickets each year and around 35,000 are chosen. 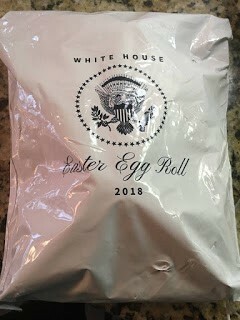 A lady spoke with my husband during the egg roll about her eight years of tries for tickets only to be selected for the first time this year. She also wasn't a President Trump fan and was disappointed by the entire event. I will write about this in a minute. We got tickets through our Congressman's office. If you really want to go this is probably your best shot if you know someone! His office was given 4 tickets only and we got all 4! This was primarily due to the fact that A.we knew someone that works closely with the congressman and B. I am a public school teacher and it was my daughter's 8th birthday. Some years they get more, some years they don't get any and they aren't aware of this until about 2 weeks prior to the event. So unlike the lottery system which gives you a month to plan your trip, this method means you will need to be flexible and you will need to book a hotel and plan quickly. The Event: There are several time slots to which you will be given tickets, you can't choose this. We were in Group D which was 2:30-4:30. Group A began at 6:30 AM and the last group, Group E began at 4:30 when we were leaving. From what I have read on other sites the worst groups are the first and last time slot only because the media isn't there so you won't get any presidential sightings or any big name readers at the reading nook. The best slots are Group B or C. This was when the majority of the A list cabinet members came out including President Trump and Melania. You are encouraged to get into line up to 2 hours before your time. It was 41 degrees on April 2 and to someone from the south, it was almost unbearable! But we waited and waited and did jumps to stay warm. We arrived around 12:30 and were in the 2nd line of about 9 roped off areas. You wait there until time to take you through security. They check bags and scan your tickets. The place is packed with volunteers who are extremely friendly and helpful. There will be people everywhere trying to help you. It was very nice! Once through security, you are directed to another line and will wait about another 30 minutes. This line has a DJ and the kids dance and the excitement builds. Finally at exactly 2:30 they will begin letting you in. Your group may contain upwards of 3,000 people. This is why you want to arrive early. So when your time slot opens you are in and can have your full 2 hours! If you are late or at the end of a line of 3,000 people you will lose time! Because once your time ends, you have to leave. I have read other posts of people not knowing this fact and only having 45 minutes or so at the egg roll! Once you get in, everything is beautiful! 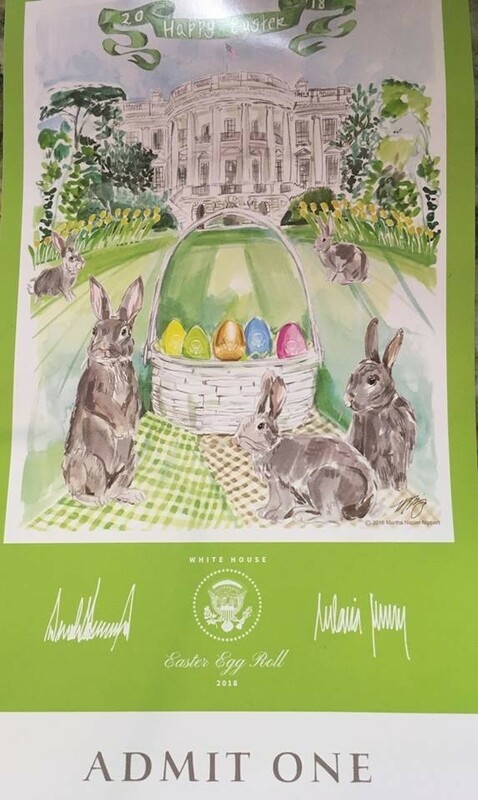 You are right next to the white house! You can see the sniper's eyes on the roof you are SO CLOSE! There are so many things to do! You will run, dragging your child from station to station because its a race against the clock and if you got in early there are NO lines for about the first 20 minutes! That is when we did the egg hunt and egg roll which are both the most popular. Also playing tennis on the president's courts was crowded and we waited in line for that the longest but only about 20 minutes. There is live music and again volunteers everywhere. You don't have to take selfies because several of the volunteers are at every photo op asking if you want them to take the photo for you. The grass is gorgeous! Its like Easter basket grass. It looks fake its so pretty and it feels like carpet. Enjoy the grass! The event is also live streamed so be sure and share the link with family and friends. When my children were being read to by Betsty DeVos I texted my parents to pull up the reading nook camera and they could watch! The entire event is so surreal. You will want to stop and breathe and just take it all in. Its the quickest 2 hours of your life and at this point we had been outside in 41 degrees for almost 4 hours but we didn't even notice. The attire varies. Some people were wearing heels, others in blue jeans. We had bought new dresses for our girls but once we saw the weather report they were covered up by jackets, hats, and gloves! They have a station with drinks and snacks if you need something but they won't let you bring any food or drinks in. In fact, we just brought our tickets and camera or phones. My girls wanted to bring their baskets for the egg hunt but they have their own for the kids to use. We ended up needing to use them anyway to hold all the stuff we were given. Some people brought strollers but they ended up just being in the way. I would not bring a stroller in. We left about 15 minutes prior to the end of our session. I had read that trying to shovel 3,000 people out of 1 narrow exit takes a long time! On your way out you are again greeted with lots of volunteers thanking you for coming. People at this event are seriously nice and helpful, it was better then Disney! The kids are given a goody bag. It contained an egg dying kit, candy, an egg recipe book (this event is hosted by America's egg farmers) and a wooden commemorative keepsake egg. My kids loved the goody bag! Now back to the lady that wasn't happy with the event. The families in line with us were Trump supporters. You could tell many people were attending just hoping for a chance to meet or see the president or first lady. I really believe this will affect your experience. I saw "Make America Great Again" hats and t-shirts everywhere! People were getting pictures made in front of the white house wearing their Trump gear. I would imagine that when Obama was president or Bush or whoever, that the people attending were overwhelmingly supporters. So if you are not a fan, I would say wait and go when a president you support is in office. Otherwise the fanfare is going to drive you crazy. For 30,000 total people to wait in line for up to 5 hours in 41 degree weather for this event, you would have to think they are supporters and the people I encountered were BIG fans. Its just something to keep in mind.